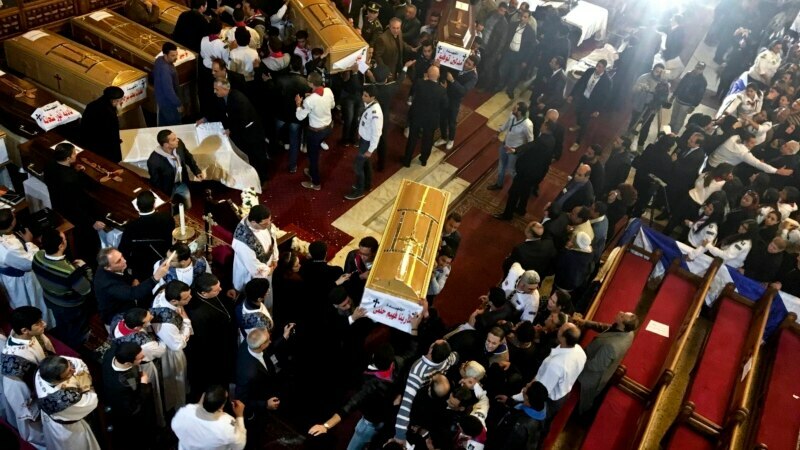 Egypt's president says a suicide bomber carried out the bombing at Cairo's Coptic Orthodox cathedral complex on Sunday that killed at least 25 people. Egyptian President Abdel Fattah el-Sissi said authorities arrested three men and a woman in connection with the blast. The president was speaking during a state funeral for the victims.